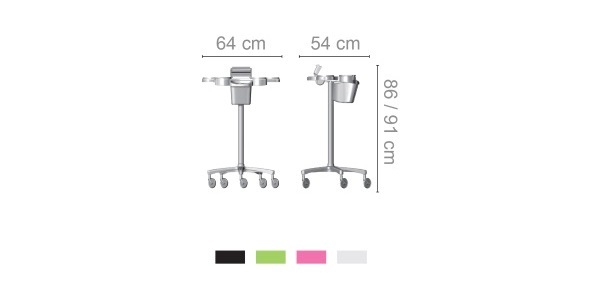 Have the most stylish salon around with this high quality, modern salon and stylist trolley straight from Italy. This trolley has four removable bowls, seats for combs, brushes and cutting/bending silver foil embedded. Alluminium base upon request. 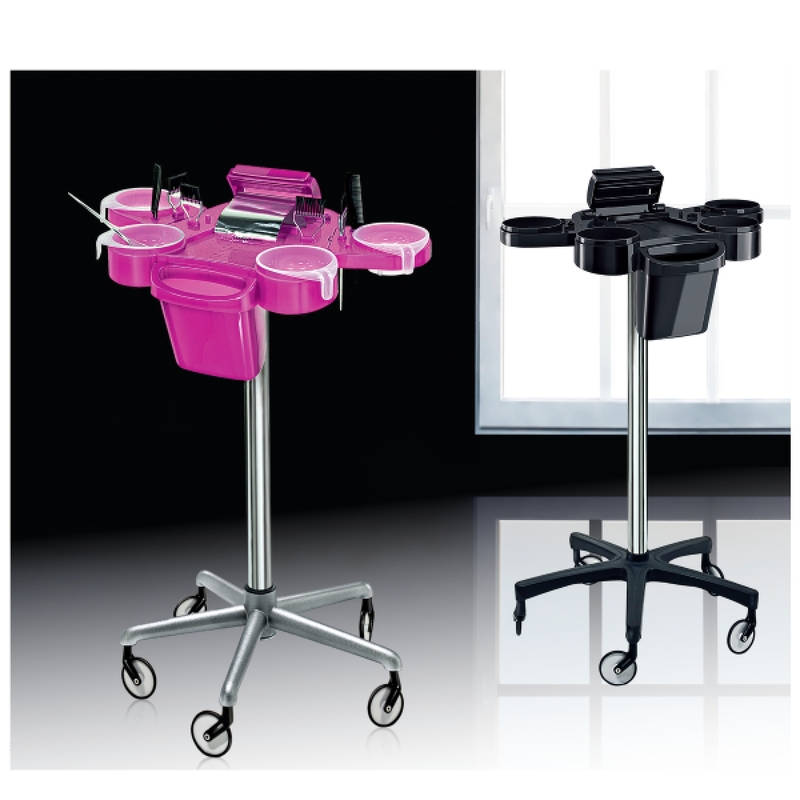 It is highly functional and beautiful and would make a great addition to the salon. 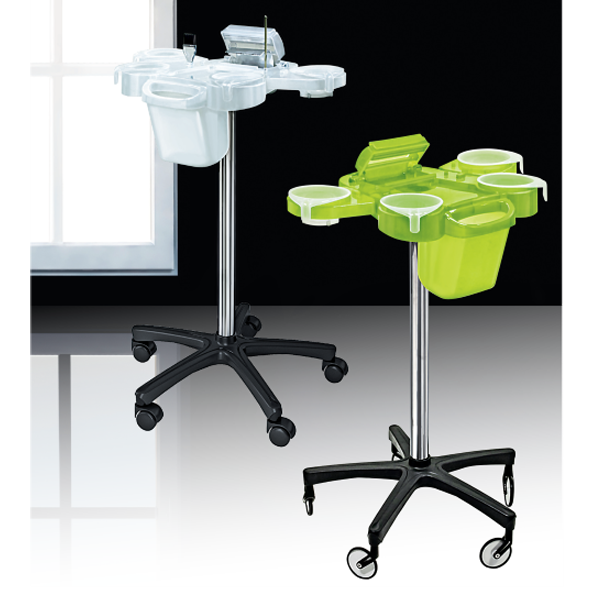 Trolley with four bowls removable, seats for combs, brushes and cutting/bending silver foil embedded. Alluminium base upon request. available also with laminated inserts for the worktop and LED lighting make this highly functional and beautiful and would make a great addition to any salon. Have the most stylish salon around with this high quality, modern salon and stylist station straight from Italy. The structure is in a rigid polyurethane lacquered with glass worktop and chromed footrest, wall supports are included so its highly functional and beautiful and would make a great addition to any salon.